Hooray! Booked for panto this Christmas - my 12th consecutive year as Dame - "Jack and the Beanstalk" for UK Productions at Bournemouth, with Chris Jarvis (who is also directing,and Debra Stephenson. More best bits of "In One Ear" - the series continues on BBC Radio 7. Sony award-winning comedy show with Helen Lederer, Clive Mantle, Steve Brown. It’s open house at Richard’s and Anthea’s estate and nobody is complaining. Brooks Livermore and Cal Jaggers play the happy couple with an endless supply of bonhomie who are ready to hobnob with the vicar. Harry Gostelow gives a memorable performance as the welcoming parish priest, saddled with a whining wife, played almost too realistically by Catherine Skinner and I found myself wishing all three wives would drop their voices an octave. However, Lynette McMorrough is completely in character as the mollycoddling wife of Sven, a delightful performance from Nick Wilton as Finland’s former junior tennis champion, who warns the others of the dangers of becoming too friendly with the likes of Richard and Anthea. Which brings us to Michael Holt’s set, a garden complete with tennis court, admittedly only one end, but a remarkable achievement on a stage of this size. And yes, we do get to see the podgy Sven serving and returning the ball. 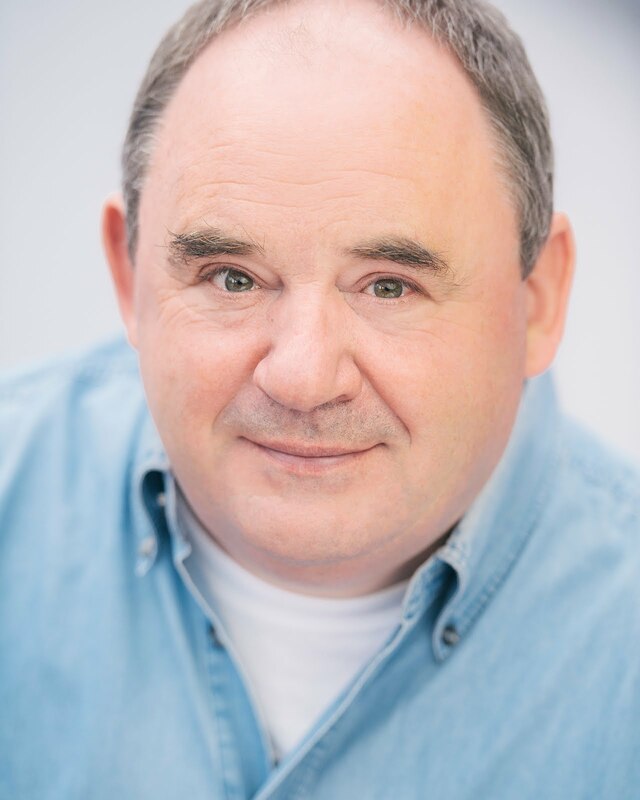 Paul Chesterton plays Brian, the friend and business partner of the owners of the estate, and a special mention of Anna Doolan who plays his three very different girlfriends and the daughter of the house with considerable expertise. Sally Hughes, the director of Joking Apart at The Mill at Sonning very kindly gave me two days off in the last week of rehearsals to film another episode of Stenders going out in April.